I have always loved these two ships but the selection in 1/700 has historically been dismal. Beginning with both Tamiya kits, both were good for the 1970s, but suffer from plain bulkhead detail, detail inaccuracies, and they are waterline kits. I was eagerly awaiting the Meng offerings as being full hull, but was very disappointed by their toy-like appearance. Their one redeeming feature was the lower hull. Then, I heard of the Trumpeter kits. Both have great detail with minor detail problems, but, they are waterline (Shame on Trumpeter for omitting the lower hull!). I did not know of Trumpeter having made these kits waterline only, but, I had the Meng kits sitting on the shelves. I saw a project in the making! I have started grafting the Meng lower hulls to the Trumpeter waterline hulls. They fit perfectly! At last, I have both ships in full hull at 1/700 scale! Can someone tell me what the walkway is that the two sailors are on? is it an anti slip walkway? If so, when was it applied? But as you can see, that walk way is not there, (as is the periscope to the rear left) nor is it on any of the others covering 1940-1944. EJ Foeth is owner of that fantastic page, and also an user of this forum. [quote="Bill Clarke"]Can someone tell me what the walkway is that the two sailors are on? is it an anti slip walkway? If so, when was it applied? This walkway consisted of a welded-on steel ladder, but was not always there. If needed you may add it with a PE ladder. Ah, ok, so they aren't broken, that's how they're supposed to be. Thanks guys for clearing that up. The DCTs in the photo look to be a reasonably accurate replica of the real ones, at least as far as the resolution of the photo allows comparison. The rangefinder arms on Parts B39 should be similar. Took a photo, it's a bit blurry but you can make out the arms. The 6" LA.DCTs' rangefinders were very assymetric - the inboard arm barely protruded beyond the side of the DCT's structure. See https://media.iwm.org.uk/ciim5/419/224/large_000000.jpg (where the DCTs are trained aft, so that what should be the inboard side is outboard) and https://www.iwm.org.uk/collections/item ... /205136471 (where the port DCT is trained for'd, and the starboard one is trained to starboard). Also note that the hood on top of the DCT is assymetric, set off in the direction of the longer rangefinder arm. The model parts shown at http://www.modelwarships.com/reviews/pe ... age-09.htm give a rendition of the LA.DCTs (right-hand side, halfway down - ignore the HA.DCTs on the left, which (a) are the wrong mark for RODNEY and (b) show the aerials facing backwards!). The Shapeways Mk IV HA.DCT to which you link is the wrong mark for RODNEY's fit - later in her career, she was fitted with a Mk I HA.DCT. The Mk IV HA.DCT looks nothing like the 6" LA.DCT. The 6" LA.DCTs' rangefinders were very assymetric - the inboard arm barely protruded beyond the side of the DCT's structure. See https://media.iwm.org.uk/ciim5/419/224/large_000000.jpg (where the DCTs are trained aft, so that what should be the inboard side is outboard) and https://www.iwm.org.uk/collections/item/object/205136471 (where the port DCT is trained for'd, and the starboard one is trained to starboard). Also note that the hood on top of the DCT is assymetric, set off in the direction of the longer rangefinder arm. The model parts shown at http://www.modelwarships.com/reviews/pe/KA-Models/200-Nelson-Mk1/pages/MK1-Page-09.htm give a rendition of the LA.DCTs (right-hand side, halfway down - ignore the HA.DCTs on the left, which (a) are the wrong mark for RODNEY and (b) show the aerials facing backwards!). Depends how much of the rangefinder arms appears to be missing. As designed, the kit's parts A12, A13 (the two for'd 6" L.A.DCTs) and the two Parts B39 (the lower halves of the after ones), plus Parts B31 and B32 are all correctly asymmetric. The rangefinders were mounted off-centre in the structure of the DCTs to reduce the swept arc on the inboard side, so that the DCTs could be mounted closer together. As you are looking at them the A12 left arm, A13, right arm, both back to the body. Depends how much of the rangefinder arms [u]appears[/u] to be missing. As designed, the kit's parts A12, A13 (the two for'd 6" L.A.DCTs) and the two Parts B39 (the lower halves of the after ones), plus Parts B31 and B32 are all correctly asymmetric. The rangefinders were mounted off-centre in the structure of the DCTs to reduce the swept arc on the inboard side, so that the DCTs could be mounted closer together. I'm looking at building the 70's kit that's been in my stash for nearly 40 years. Looking over it I noticed that the two directors atop the tower which were for the 6" guns are missing a sighting arm each. Can someone please tell me what mark these were (Circa 1928) as I'd like to source some replacements if at all possible. James, I'm considering a purchase of the 1/700th Rodney from Trumpy and just found your & your collaborators' wonderful artwork and colour callouts above! One question: did the teak decks remain unpainted? That would be my guess. 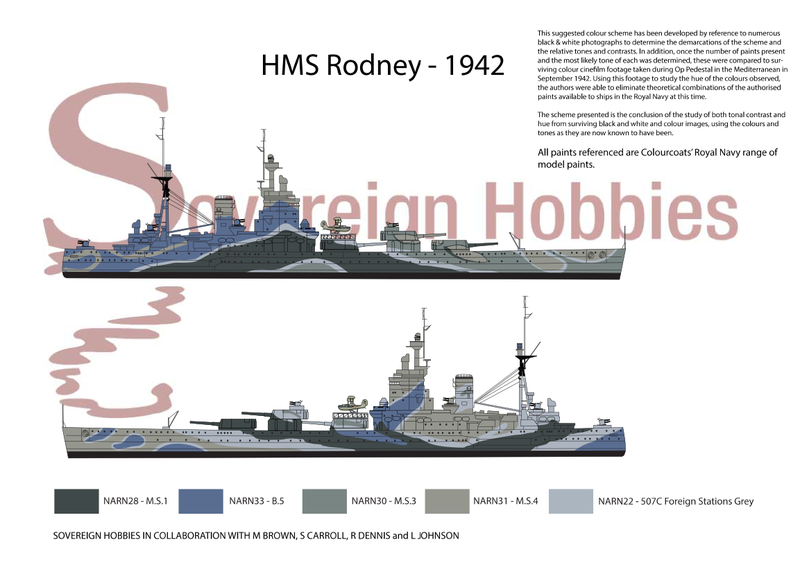 James, I'm considering a purchase of the 1/700th Rodney from Trumpy and just found your & your collaborators' wonderful artwork [i]and[/i] colour callouts above! Is this possible to send in better (bigger) resolution? Thank You very much for fast response. Its very nice gift for Christmas days. PS. 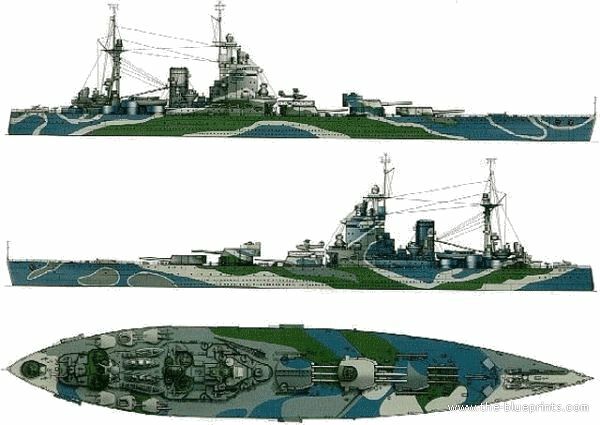 I know that the prices are very high because I also bought many drawings from BundesArchive but for battleship Bismarck. 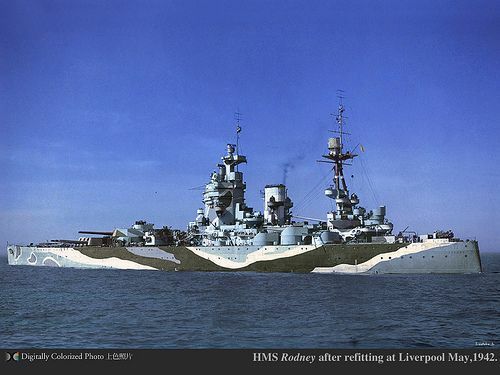 I'm building now HMS Rodney in scale 1:200 from ukraine publisher dom bumagi. The model have shown a shell platting on both sides but only on upper part of hull. I'm looking for shell expansion of lower (underwater) part of hull. Maybe someone have any drawings? 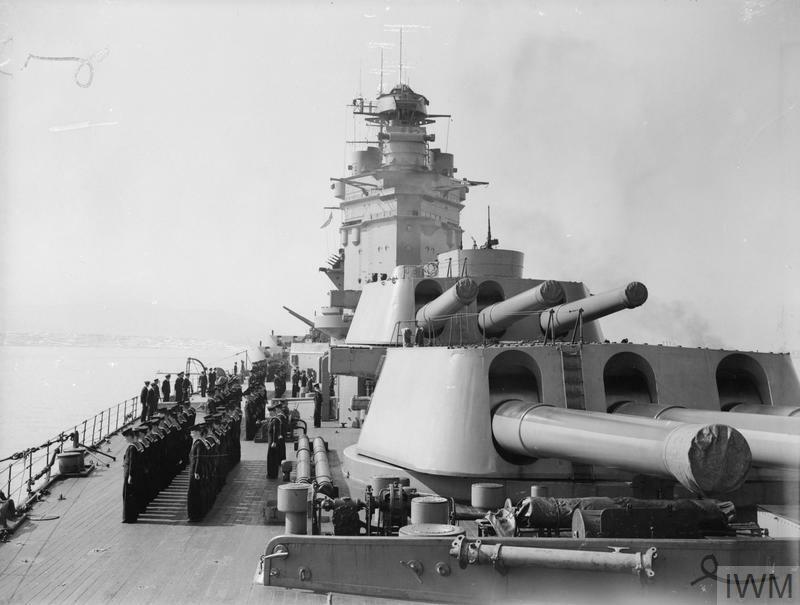 The complete shell expansion plan of HMS Nelson is in the archives of the National Maritime Museum in Greenwich. I have bought a copy of it some ten years ago, at a horrendous price admittedly. I include here a much reduced version of it.